On Thursday evening, President Donald Trump authorized an attack on Ash Sha'irat, an airfield in Western Syria controlled by the Syrian government. 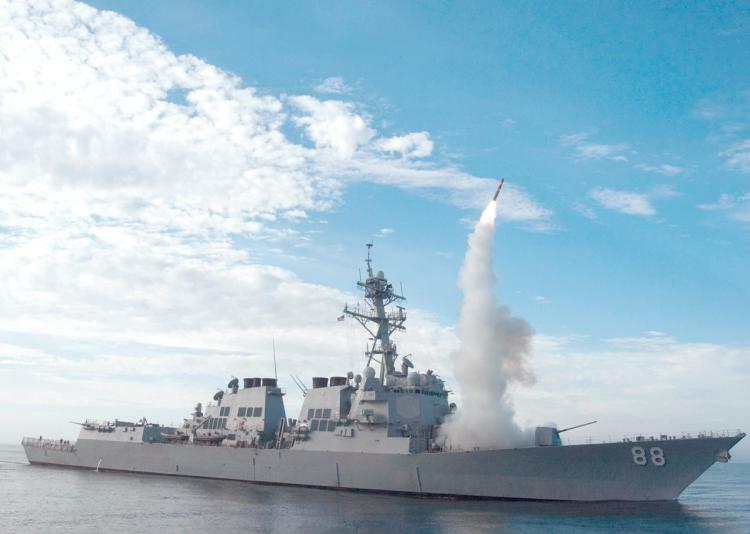 According to reports, 59 Tomahawk missiles were launched by two American warships in the Mediterranean Sea. Russia had funded the expansion of this particular airfield, and current reports indicate their personnel had been inside the facility shortly before the act. The US had warned Russia of the attack prior to the commencement, although it is unclear at this time if they were still inside when the missiles detonated. This attack comes only days after reports of chemical weapons used in Western Syria. The Trump administration has condemned Bashar Al-Assad, president of Syria, for the attack. The strike was retaliation for the chemical attack, although there has been no official report from the UN or the Orginisation for the Prevention of Chemical Warfare (OPCW) on who was responsible for attack. The OPCW has claimed in the past that Assad had dismantled his chemical weapons after reaching an agreement with the UN back in 2013. The Syrian government claims that the attack in rebel territory included the destruction of a chemical weapons base; which caused the release of the nerve agent. Neither the UN nor Congress had granted approval for the strikes before they were carried out. Trump claims that they were necessary for US security although he gave no details as to how this base or Assad constitutes a security risk to the United States. While several Members of Congress expressed outrage at this unilateral attack carried out without congressional authority; Senator Feinstein, Senator Harris, and Congressman Bera remained silent on the issue. Despite attempts to contact them throughout the day, they’ve released no comment. Congressman Ted Lieu, representing California’s 33rd district which rests in Los Angeles county, has taken to Twitter to express his outrage at the lack of congressional approval. He spoke about how last month Trump deployed ground troops in Syria and this attack puts them at greater risk. Lieu also stated that the attack required congressional approval. Watched @POTUS remarks. Congress authorized @POTUS to use force on terrorists. We NEVER authorized force to enforce chemical weapons treaty. ""When the United Nations consistently fails in its duty to act collectively, there are times in the life of states that we are compelled to take our own action."